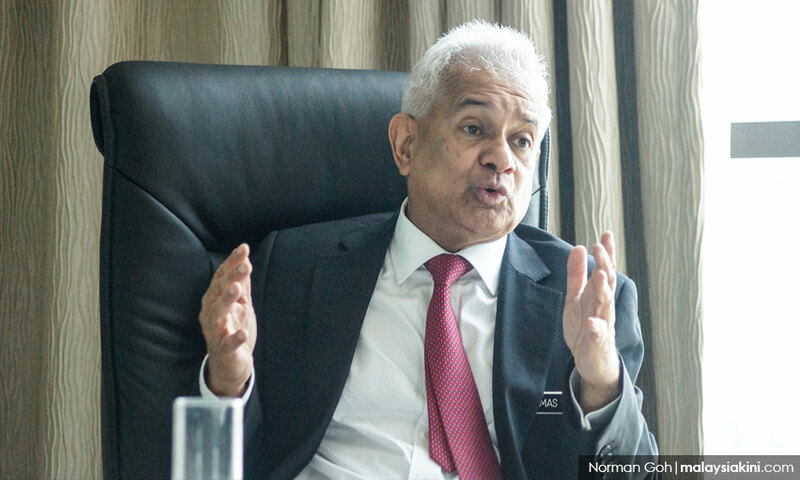 INTERVIEW | Newly appointed attorney-general Tommy Thomas gave Malaysiakini and The Edge an exclusive interview last Thursday - the day senior lawyer Muhammad Shafee Abdullah was charged with money laundering. In his first major interview since he was tapped as AG, the 66-year-old barrister and author of two books spoke about his gargantuan duties three months into his appointment as the top legal officer in the country. In particular, Thomas talked about the difficulties and challenges faced by the Attorney-General's Chambers (AGC) in the 1MDB case, the civil action taken by the new Malaysian government in Singapore, United States and Switzerland to recover the assets of the failed sovereign wealth fund, the criticisms in his appointment of outside lawyers to handle the 1MDB and SRC International prosecution and the retrieval of Jho Low's jet in Singapore. On the difficulties his Chambers faced, Thomas said, "I would say is that never in the history of the Chambers has there been so much demand for prosecution, which is because of the past misdeeds that have accumulated over the years, problems that I've inherited." On 1MDB, the AG said the Chambers had formed a special team to handle one of the most complicated legal cases ever faced by the country. "We have opened an account, a special segregated new account, controlled by MOF (Ministry of Finance). It's the MOF and the new directors of 1MDB who are controlling it. It is specially set up. After the GST RM19 billion hole, there has to be a specially protected, segregated trust account earning interest and controlled by honest signatories," he said. "I'm against those who say MACC must prosecute. They don't know how much power that will give to MACC, if that happens. The existing system is perhaps the least worst. But the disadvantage of this is if the agencies do not give us the investigation papers (IPs) then the AGC cannot do much. We cannot do anything until the IPs are given. So until today, there is not a single IP on 1MDB given to us." "Domestically, the AG’s Chambers has in the past appointed local lawyers. AG’s Chambers appointed Datuk KC Vohrah, Tan Sri Cecil Abraham and Dato’ Sunil Abraham and their firm, Zul Rafique, for many civil matters. "In fact, the SRC (prosecution) team was happy (with Sulaiman) because most of them were tutored by Sulaiman at (the) university. They look to Sulaiman as their intellectual guru. One must look at it in terms of what Malaysia needs. The people of Malaysia want justice, they want speedy justice. 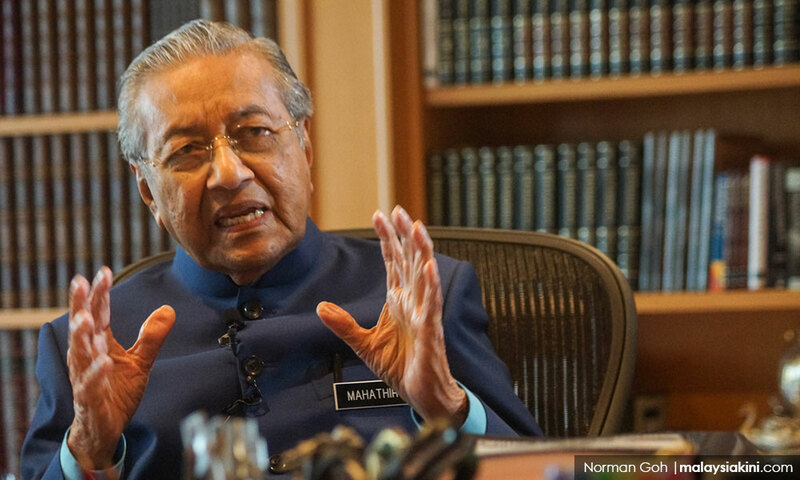 The people of Malaysia deserve the best and the brightest to appear for them," he said. “Knowing that first hand, you cannot combine that with the demands of the AG, where the PM wants to see you, the cabinet wants to consult you, Parliament is sitting, and so on. It's just not possible, you cannot combine all these demanding tasks with the work of counsel in court." Thomas also spoke about how he has changed his opinion about Prime Minister Dr Mahathir Mohamad, a man whom he criticised many years ago. According to him, Mahathir is a “reformed PM”. Upon taking office as AG, he said the world's oldest prime minister told him, "Tell me if there's something wrong, tell me if I can't do it." Question: What's your assessment of your first 100 days? Firstly, everything to do with 1MDB, which is not just the criminal aspect, for there's the civil recovery as well. Secondly, the lopsided contracts and thirdly, law reform. And I think you will not know it unless you are sitting here. It's difficult for anyone from the outside - certainly not a private practitioner, as I was. Even somebody from this Chambers - there are about 1,200 lawyers here - even they won't understand the huge amount of responsibilities (of the AG). So that has surprised me. How about the competency of your officers? There have been some criticisms that there're not enough competent people dealing with the prosecution. Do you find that a problem? I think that's unfair. We have tremendous specialisation, but of course, lacking in some areas. For example, in things like AMLA (Anti-Money Laundering, Anti-Terrorism Financing and Proceeds of Unlawful Activities Act), which is very critical in the next few years, and Mutual Legal Assistance - again very critical because we've got to deal with different countries - we got top-class specialists. And for the contracts review, we also have excellent people as I'm personally dealing with them. In so far as prosecution is concerned, what I would say is that never in the history of the AGC has there been so much demand for prosecution, which is because of the past misdeeds that have accumulated over the years - problems that I've inherited. Whether it's 1MDB or not, there is a long line of cases waiting once the IPs are delivered to me. Even if you got 1,000 world-class prosecutors, it's just not enough. That tells you - it's a commentary on the alleged crimes that have been built up over the years. So the pressure is awesome. That's why we're setting up the 1MDB unit, we're setting up different units to cope with the cases because we've never done this before. If AGC had done this from 201... if prosecutions took place from 2011 or 2012, then it would not have built up. And just to get it in relative terms, please look at the US. Their DOJ (Department of Justice), which is obviously world class because they've got so many talented people, forensic accountants, lawyers and unmatched resources... look at how the Special Counsel, Robert Mueller, and his team, are doing. It took more than a year before they charged anybody. Then they went very fast, they've charged, I think, about 20 people in the last three months and they have got a few convictions. On criminal, we can't do anything until the IPs (investigation papers) come. Just to remind you that in our system - many countries also have it in order to prevent too much concentration of power - the idea is to distribute power. Checks and balances - so the four or five investigative agencies in Malaysia, like the police, MACC, Bank Negara, Securities Commission, Customs - there are about five or six bodies which investigate, they cannot charge. Because otherwise, they would be too powerful. The AGC prosecutes. We have the sole monopoly on prosecution and we should not carry out investigations because we're already so powerful, so can you imagine how much more powerful we will be if we investigate (as well). So I'm against those who say MACC must prosecute. They don't know how much power that will give to MACC, if that happens. The existing system is perhaps the least worst.